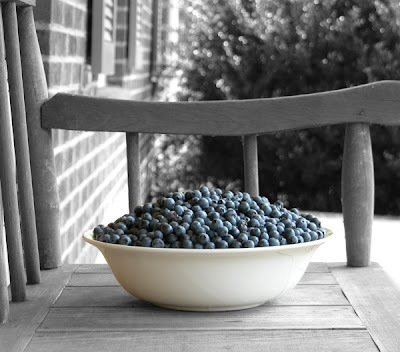 We have a big blueberry tree in our yard. Yes a “tree” not a bush. The former owner of our house had a very exotic taste and we find all sorts of interesting plants around here. Last year the tree did not bear very much fruit. This year, the tree has given us more fruit than we can “shake a stick at.” I tended a little bit to the tree earlier this year, which I was told by doing would help the tree bear fruit. I am not sure that what I did helped at all, but the tree has bore much more fruit. In a way this reminds me of our lives as Christians. On our own, we can do a little good, bear a “little” fruit if you will. The fruit of trying hard and being good. But it is only with the Supreme Gardeners help that we can truly bear fruit – even to overflowing. Woody wants some action too! 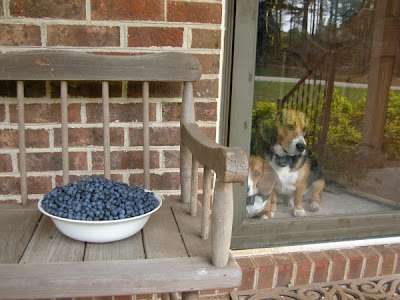 Now it’s time to go pick some more blueberries! Kati is mad at me right now because she told me that you wanted to come over and I’ve picked almost all of the ripe blueberries. There are still a bunch more on there that need a little more ripening. If they do ripen, I’ll let you know and you can have at ’em! If you, Stan, and the family do not have any plans, maybe you can come over in the afternoon on the 28th to pick them. I promise, I will not touch the tree until that date has passed :). 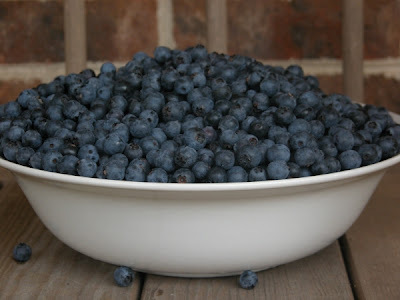 If not, then I foresee a big bag of blueberries in your future ;). Ooops! Please tell Kati not to be mad. 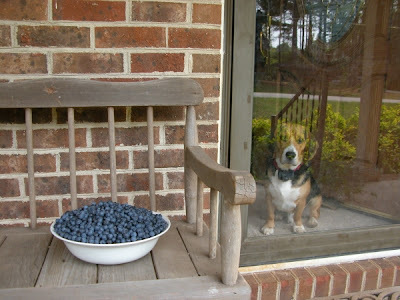 I had completely forgotten that she had told me you had a blueberry bush. Really.